Let’s talk about VOCs – or volatile organic compounds. “VOC” has become a mysterious, boogeyman term that most of us don’t completely understand. So let’s break it down. As a practical matter, VOCs are most often referred to in the context of chemicals that have the potential to affect the environment or human health. Like carbon and methane, volatile organic compounds do exist in nature – in fossil fuel deposits, volcanoes, vegetation and bacteria for instance. In a balanced environment, our atmosphere can handle naturally occurring VOCs. But since our atmosphere is no longer balanced, VOCs simply contribute to the greenhouse gas load. VOCs in an indoor environment pose a unique threat specifically because they are contained. The VOCs that we can control are the human made ones. VOC is a category of reactive airborne chemical. 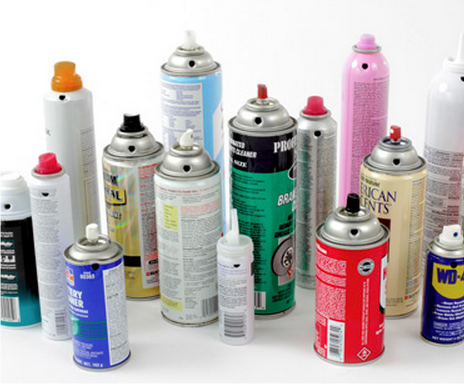 Basically, chemical compounds that off-gas from products (paints & finishes, household cleaners, cushion foams….) and hang in the air at room temperature long enough to be inhaled or escape into the atmosphere to heat things up. So we create two problems when promoting (through use) toxic, VOC laden materials: unhealthy indoor air quality and heat producing greenhouse gases. Some unhealthy, off-gassing chemical compounds common to our homes and businesses are pretty straight forward – such as with flame retardants (upholstered, foam furnishings) and formaldehyde (carpets, wood adhesives and finishes). But in many cases, it’s not easy to decipher the toxic component of particular VOCs since it can be the “cocktail” that becomes the culprit as with cleaning solvents and fragrances. 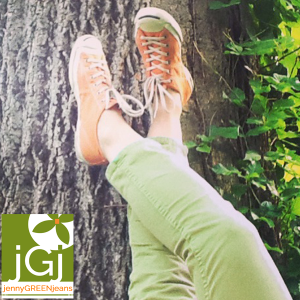 In previous jGj posts addressing indoor air quality, I have emphasized, above all, health. Revisit: Take a Deep Cleansing Breath, Breaking up with Your Sofa, Best Non-Toxic Paints and Making your Bedroom a Toxic-free Zone. The following guidelines can substantially reduce your exposure to VOCs in the home and improve the air quality in any indoor environment. Avoid synthetic and chemically treated rugs and carpets – particularly with vinyl backing. Always look for non-treated, natural fiber rugs with a natural rubber backing. Use no VOC paints and water based finishes. Make your own Green Cleaners! (Use my simple monthly recipes listed under ‘Sustainable Home’ as a guide). Or buy green, non-toxic cleaners. Completely avoid products containing synthetic fragrances such as any personal care product, Fabreeze, Glade plug-ins or dryer sheets. The FDA does not require the disclosure of fragrance ingredients – regarding them as “proprietary”. On closer inspection, synthetic fragrances contain numerous known carcinogens, making the most commonly used cleaning and air-freshening household products the most toxic. And the last thing you want to do is heat them up – whether it’s a candle or plugging in a plastic contraption into an outlet! Create your own fresheners using natural ingredients. Or use a diffuser with natural essential oils. (Click here to make your own aromatic diffuser). Use only non-paraffin candles* with 100% natural essential oil fragrance. *jGj can only recommend beeswax candles. Paraffin is petroleum by-product and is known to emit a host of harmful chemicals when burned. Soy is a common GMO crop and Palm oil is not regulated, so harvesting is linked to rain forest devastation. What would most people do diveod of the brilliant strategies you write about on this blog? Who has the fortitude to deal with crucial topics for the sake of common visitors like me? My partner and i and my buddies are very blessed to have your web site among the types we typically visit. Hopefully you know how significantly we appreciate your efforts! Best wishes from us all. Thank you Shreyas! I appreciate your support.